Hazel Brannon Smith (1914–1994) stood out as a prominent white newspaper owner in Mississippi before, during, and after the civil rights movement. As early as the mid-1940s, she earned state and national headlines by fighting bootleggers and corrupt politicians. Her career was marked by a progressive ethic, and she wrote almost fifty years of columns with the goal of promoting the health of her community. In the first half of her career, she strongly supported Jim Crow segregation. Yet, in the 1950s, she refused to back the economic intimidation and covert violence of groups such as the Citizens’ Council. The subsequent backlash led her to being deemed a social pariah, and the economic pressure bankrupted her once-flourishing newspaper empire in Holmes County. Rejected by the white establishment, she became an ally of the black struggle for social justice. Smith’s biography reveals how many historians have miscast white moderates of this period. Her peers considered her a liberal, but her actions revealed the firm limits of white activism in the rural South during the civil rights era. 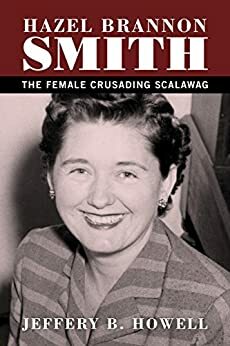 While historians have shown that the civil rights movement emerged mostly from the grass roots, Smith’s trajectory was decidedly different. She never fully escaped her white paternalistic sentiments, yet during the 1950s and 1960s she spoke out consistently against racial extremism. This book complicates the narrative of the white media and business people responding to the movement’s challenging call for racial justice.